We had three rooms booked and got upgraded to the Royal Suite which was incredible! Special thanks to the Manager Mr. Timothy for the excellent customer service offered! Free sports equipment. Nice pool area. Nice mini golf course. Excellent views. Warm Atmosphere ... very good place to have a rest from daily routine . The view is very good.The hotel staff were very nice. Went to the bar they have good offers. Food was surprisingly very nice. The staff was very nice and helpful especially Ms Chom. we been there just for one night everything is ok! Mercure Grand Jebel Hafeet This rating is a reflection of how the property compares to the industry standard when it comes to price, facilities and services available. It's based on a self-evaluation by the property. Use this rating to help choose your stay! 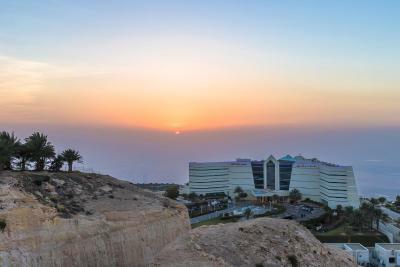 Located on Hafeet Mountain at 3,000 feet above sea level, Mercure Grand is a unique oasis resort with a refined architecture. It offers 3 restaurants and 3 swimming pools with water slides. 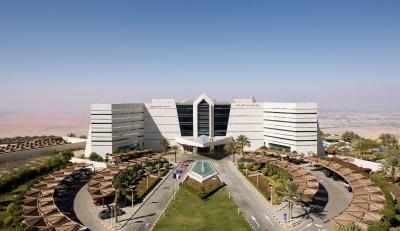 Mercure Grand Jebel Hafeet is situated a 2 hour drive from Abu Dhabi and Dubai. The Hili Fun City Park is 16 miles from the hotel and the Camel Race Track and zoo can be found 6 miles away. 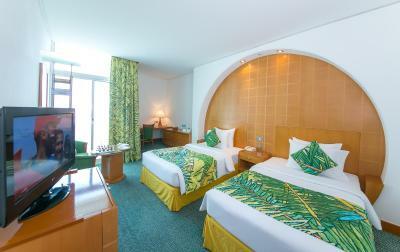 When would you like to stay at Mercure Grand Jebel Hafeet? This air-conditioned room features a minibar and a shower in the bathroom. 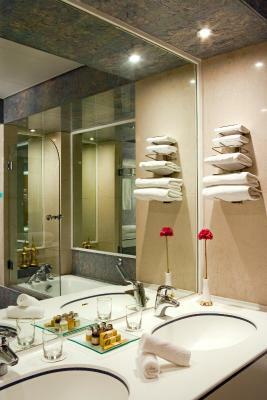 Featuring pool and city views, this air-conditioned room contains a mini-bar and a shower is fitted in the bathroom. - 15 Minutes Foot Spa for 01 adult per stay. 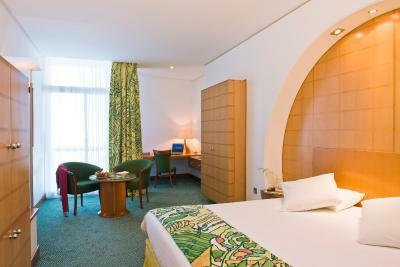 - 2 Pieces of Laundry(Washing & Pressing only) complimentary in entire stay. - 10% discount on F&B & 15% Discount on Laundry. Featuring mountain and golf views, this air-conditioned room contains a mini-bar and a shower is fitted in the bathroom. This midscale non-standardized brand promises that your stay will be a success thanks to the unique combination it offers: the strength of a guaranteed quality and the genuine experience of hotels managed by passionate hoteliers. 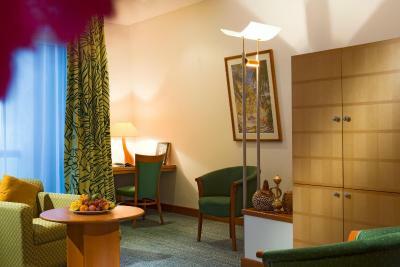 There are a wealth of amenities both indoor and outdoor to keep you entertained during your stay here. 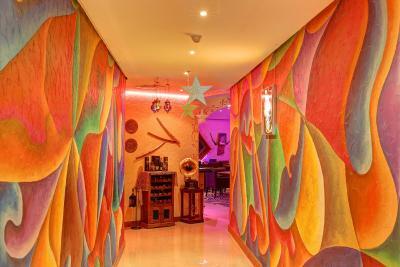 While indooers, you could choose from the gym, steam, rooms, sauna beauty treatments. Outdoor amenities include the swimming pools, the mini - gold course and a Children's playground Surrounded by water slides, palm trees and cascading water fountains. 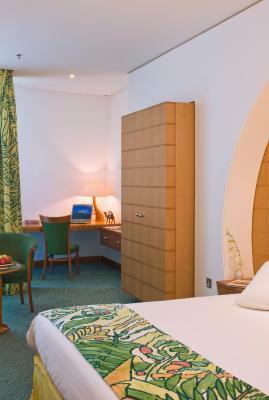 The pleasantly decorated 115 rooms and 9 suites welcome you into the stimulated coolness of shady palm groves, while the captivating wall carpets of the Atrium and the floors, complemented by the indoor greenery envelop you with the magic of the region - dunes, oasis, falaj, wadis, forts and watch towers. The luxurious Majlis and the traditional tents offer an ambiance of traditional Arabian hospitality. 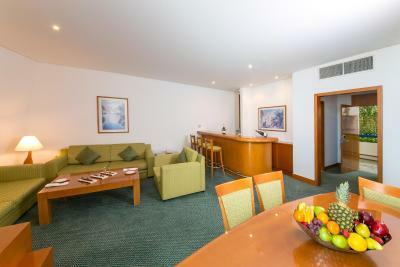 House Rules Mercure Grand Jebel Hafeet takes special requests – add in the next step! Mercure Grand Jebel Hafeet accepts these cards and reserves the right to temporarily hold an amount prior to arrival. Outside Food and Shisha are Prohibited.
. The curtains of my room was a bit damaged and not moving on rail. . Kids were playing and shouting in the hallways! Waiters were cleaning our table before we had finished breakfast. Views and amenitites/ Breakfast was excellent. Bedroom was very comfortable. I was not happy about the room as the placing, decor , and colour didn't meet to our expectations & the feeling of wow factor did not click our face. I think it can be much better if new ideas , some light contrast colour can click the charm. Secondly we were shocked with food offered at the bar. We were told that the Biryani was the best selling dish. What surprised us was , it never tasted a Biryani. We did ask for a change and was re cooked but, tasted like more of onions and tomatoes fell into the same dish. Felt sad to pay for a dish not worth it and couldn't be eaten. Please do ask the chef to keep the authenticity of the dish, if not known to be cooked do not keep it in menu. I loved the way the staff helped us throughout the stay. The place is beautiful nd good facilities. Clean rooms. The breakfast served was amazing. Yes))) bed was life a cloud!!! The noise from the reception room. Spectacular location with great views. Rooms were very nice except for the incredibly loud party noise from the reception room on the main floor that kept us up very late the first night. Staff seemed unfazed by complaints. The breakfast is good, but not excellent. 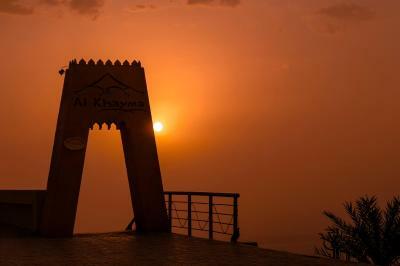 It is excellent location.Hotel is on the top of the mountain in the desert. Absolutely clean air.Excellent swimming pool with 28 degrees water, beautiful for the kids. Mr Simon ruling that. Then he sent us to the sauna. Oooooo! View from the mountain cost special money. Until now it's free, told us Mr Mahmoud on reception. Thanks a lot. The bed was very comfortable and the rooms are very big. There was a great view and the food was good.